The AeroMobil, the Pop Up and the Lilium Jet entered the race of flying cars by presenting their prototypes in 2017. Half car, half plane, these engines will revolutionise transportation and transform tomorrow’s cities. 2017 definitely sets a turning point in the car industry but particularly in the aviation industry. Indeed, on April the 20st of this year, the Company AeroMobil presented its new model of flying cars during the annual luxury event of Monaco. Half car, half plane, the AeroMobil is a 2 seats plane able to fly but also able to hit the roads. Rapid and secure, this flying car can fly in all weather conditions. A growing number of start-ups joined the business of flying cars with all having specific features. The AeroMobil requires a small runway to be able to land, whereas on the contrary, the German competitor, the Lilium Jet, is able to land and take-off vertically like a helicopter. Luckily, the AeroMobil will be available for pre-orders from next year. The giant Airbus has revealed his dreamed concept for 2027. The Airbus Pop Up will either drive or fly and thus with the objective of avoiding the traffic congestions present in all worldwide megalopolis. Very innovative, these new engines have one remaining problem: The batteries’ lifetime. Indeed, the capacity of the batteries are of one hour, which is too few. Hydrogen batteries can already increase the batteries’ lifetime up to 2 hours, while more solutions are currently in the development process. 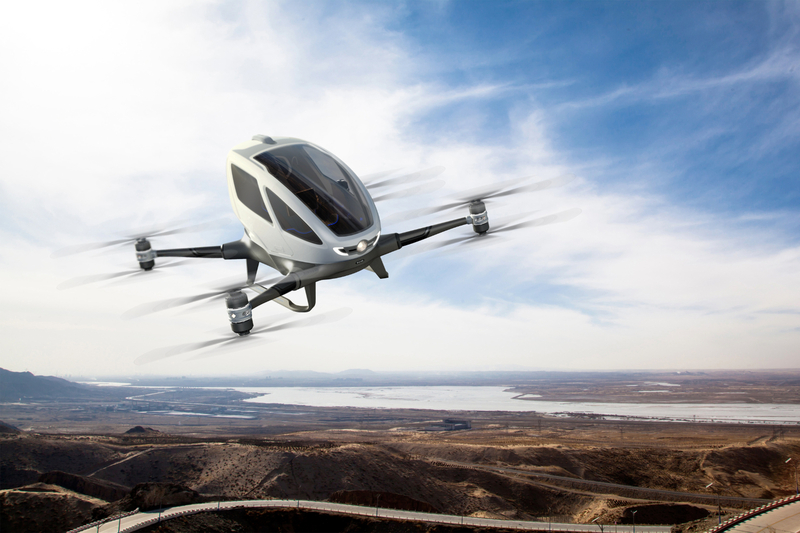 First working with a pilot, the plane-car will become completely autonomous until 10 years. Coavmi hopes to offer flight sharing solutions to his passengers on board of these electric planes of the future.